Do I need to carry my Green Card? Yes! You Must Carry Proof of Your Permanent Resident Status (Green Card) With You At All Times! The answer to the question, “Do I need to carry my Green Card?” is quite clear. You must carry proof of your permanent resident status (green card) with you at all times! Moreover, you must be vigilant in this day and age with immigration enforcement on the rise and in the news almost every day. 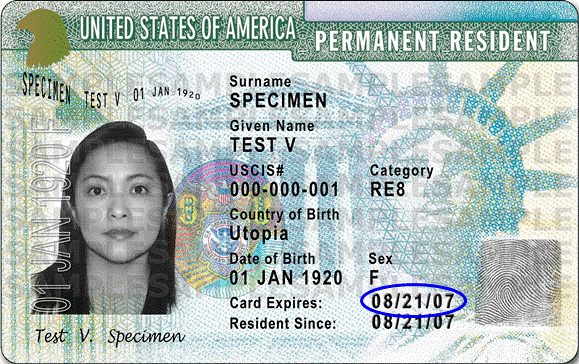 A permanent resident card is issued to permanent residents as proof of authorization to live and work in the United States. Thus, this is a very important document which conveys many benefits and responsibilities on permanent residents. People are under the misconception that they should leave their permanent resident card at home in a safe place. Always carry your green card! Fines up to $100 and imprisoned for up to 30 days. You may be also thinking, what does the answer to “Do I have to carry my green card?” really mean? You not only have to carry your green card, it must be the original! Carrying a copy of your lawful permanent resident card instead of the original is a violation of the law, and could result in the above penalties as well. If you are awaiting receipt of your lawful permanent resident card you should carry your passport with you, and any other evidence showing approval of permanent residence status. From a practical standpoint, it is highly recommended to comply with the above law and carry your permanent resident card with you at all times due to the current immigration enforcement priorities. You can be detained by immigration and customs enforcement, placed in detention, and have to pay several thousand dollars in attorney fees to prove your lawful status. All of this can be simply avoided by having in your possession your lawful permanent resident card. So now that you know the answer to the question, “Do I have to carry my green card?” contact us to schedule an appointment to discuss your immigration needs. At Shupe Dhawan we can help you with all your immigration needs from obtaining a visa, a green card, starting a business, and becoming a United States Citizen. We are happy to answer questions and provide legal assistance. Contact us at 954-507-7220. Make sure to visit our website at www.shupedhawan.com to learn more about the firm and partners! You can also find us on Facebook, LinkedIn, and Twitter, or and you can follow our blog.